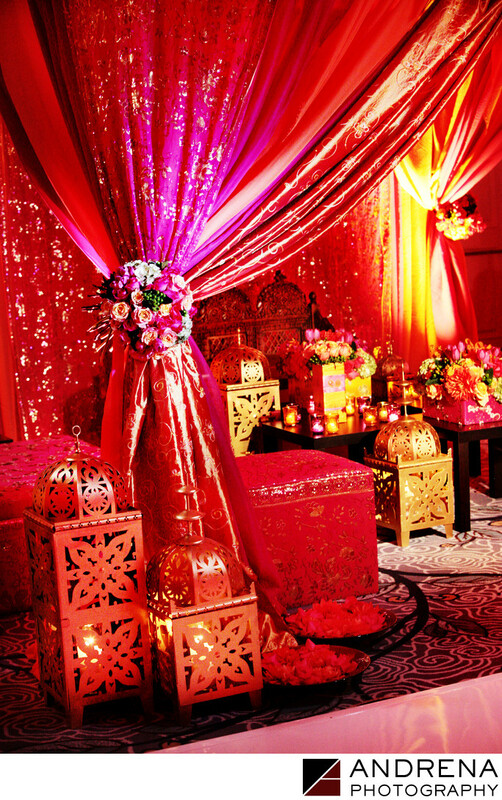 This sangeet design made use of Moroccan colors. Square Root Designs used oranges, pinks and reds to create a draped wonderland for this couple's guests. Coordinated by Ajita Chopra Events.